A mix of clouds and sun during the morning will give way to cloudy skies this afternoon. A stray shower or thunderstorm is possible. High around 80F. 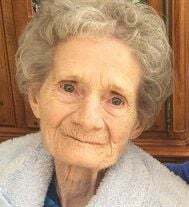 Winds S at 15 to 25 mph..
Patricia Ann Essington, 86, of Cabery, passed away on Saturday, March 9, 2019 at Miller Healthcare and Rehabilitation Center in Kankakee. She was born on May 30, 1932 in Paxton, the daughter of Richard and Leta Wilson Strebeck. Patricia married Gordon Essington on January 23, 1954 at Kankakee Presbyterian Church. Patricia was the Director of Volunteer Services at the Illinois Veterans Home in Manteno. She was the former State President of the Ladies Auxilliary at VFW Post 2857, as well as a former Youth Group President at the Presbyterian Church and a Senior Girl Scout Leader. Patricia’s life revolved around her children and grandchildren, but she also enjoyed flower gardening, baking – especially hot fudge, and helping people – especially veterans. She singlehandedly raised enough money for a park and tennis court to be built in Cabery. She is survived by her husband Gordon Essington of Cabery; two daughters Cindy (Bridget) Bertrand-Essington of Bourbonnais and Sarah (Ron) Scully of Elgin; her siblings Grace, Susie, Richard, Fred and Georgie; five grandchildren Rachel, Dane, Ryann, Tiernan and Kyle; and many nieces and nephews. She was preceded in death by her parents, three brothers Robert, Charles and Larry, and a sister-in-law Avis Schultz. Cremation rites have been accorded. A memorial visitation will be held on Friday, March 15, 2019 at 10 am, with memorial service starting at 12 pm. Inurnment will follow at Abraham Lincoln National Cemetery in Elwood. Memorials may be made to the Alzheimer’s Association.